It seems like a paradox, or a contradiction, but lots of things are in life are at their best when they’re soft, but firm. Don’t believe me? A soft but firm handshake shows that you’re ready for business, while a shake that’s too soft inspires no confidence—and I think we’ve all experienced leaving a handshake gently massaging our hand after someone decided to treat it like a stress ball (sidenote: stress balls are always better when they’re soft but firm). How would your back feel if your mattress was only either soft or firm, and not a combination of the two? Think you could fall asleep on a couch that was hard and unyielding? Because last time I checked, La-Z-Boy made over 1.5 billion dollars in 2017 thanks to furniture that was soft but firm. Do you like dessert? Of course you do. And everyone knows that the best desserts from all around the world — flan, panna cotta, chocolate mousse— all share the same texture: soft, but firm. The good folks at Ford —unafraid of wrestling with these types of paradoxes— decided to find a way to incorporate this knowledge into the Ford driving experience. Enter Ford’s Continuously Controlled Damping system. A firm suspension has always been a hallmark of performance vehicles. Tighter turns, more control, it’s unlikely you’ll find anyone who’ll argue the benefits of a firm ride. Sadly, our days aren’t spent on a pristine track, but rather driving through Edmonton’s roads—roads with more bumps than an acne-prone teenager. 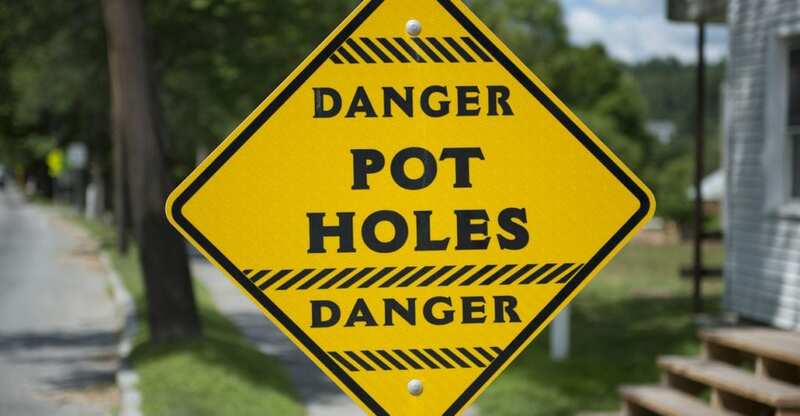 To say the pothole situation is egregious would be downplaying the effect of the word ‘egregious.’ And there’s little that can be done about this situation, due to the constant shrinking and expanding from the weather, the salt, and the heavy duty trucks that literally pound the pavement (if it’s any consolation you could live in Australia where the climate is more temperate, and the spiders are the size of your head). Because of this, a softer suspension is necessary to keep you from bottoming out your vehicle and causing all sorts of damage, like bent wheels, flat tires, or worse. While driving a vehicle with a firmer suspension is an option, it’s only an option for summer vehicles and people that baby their cars. At least this was true until Ford came out with their breakthrough Continuously Controlled Damping suspension, providing a soft but firm ride. Continuously Controlled Damping, or CCD, works by utilizing 12 high-resolution sensors to collect signals and information about the road. Your vehicle’s on-board computer then runs the results of these signals, and adjusts the vehicle’s dampers every two milliseconds. In a fraction of a second, CCD will detect a pothole and correct the stiffness of the damper, saving you from damaging your vehicle’s suspension. This information is immediately relayed to the rear suspension, softening the blow further. You want a smooth ride? CCD is there for you. You want a soft but firm ride? Of course you do—and CCD’s got you covered. Potholes are an unavoidable part of driving, but Ford is always working on new ways to mitigate their effect. Continuously Controlled Damping, the cutting edge computer-controlled shock absorption system from Ford, is just one of the ways Ford makes your everyday driving experience better. Currently available on the Ford Fusion, and certain to spread to more parts of the vehicle lineup, Ford’s Continuously Controlled Damping system is sure to be a fan favourite for as long as there are potholes on the ground.  Come by Team Ford today to learn more.